The Senate adjourned at 4:07 a.m. after passing the Republican budget on a party line vote. Senate Democrats waited all day long for the Republican Majority to decide whether the Senate would come to the floor (and waiting for them to obtain the 16th vote to pass the budget proposal). At approximately 11:45 p.m., Senate Democratic Leader Jorge Luis Garcia went to the Senate President and told him that Senate Democrats would be leaving at midnight. A caucus bell did not ring until after midnight. Not all 16 Republican members who would vote yes on the budget were even in the Senate building until after 1 a.m.
At 3 a.m. when the Senate finally came to the floor, Sen. Burton Cahill offered 11 amendments to the Republican budget (out of 29 prepared in the interest of time). The House is currently in Committee of the Whole hearing the Republican budget proposal. The Senate will begin hearing bills next week. No agendas are posted yet, but we anticipate the Natural Resources, Infrastructure and Public Debt committee and the Judiciary committee to meet and hear bills on Monday. Aboud Floor Amendment #4: Restores $931,000 to the Greater Arizona Development Authority in the Department of Commerce for rural communities. Aboud Floor Amendment #5: Restores $9.2 million for operating for community colleges. Aguirre Floor Amendment: Adds 2% to AHCCCS, DES and DHS Medicaid programs to fund medical inflation costs, and eliminates the proposed 5% rate cut for AHCCCS providers. Garcia Floor Amendment #1: Sweeps $3 million from the House balance to fund the Commission on Indian Affairs. Reverts the balance to the General Fund. Aboud Floor Amendment #1: Restores all university auxiliary funds in the total amount of approximately $90 million. Aboud Floor Amendment #2: Restores $167,600 to the Department of Economic Security for food banks and $425,000 to the Department of Health Services for senior food programs. Aboud Floor Amendment #3: Restores $2.2 million to DES to restore reduced contracts for domestic violence services. Rios Floor Amendment #1: Restores general fund and other fund monies to the Attorney General’s Office totaling $10.9 million ($6.6 in general fund and $4.3 in other fund). 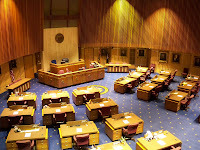 Rios Floor Amendment #2: Restores $13.3 million to DES to fund services to the developmentally disabled and the Arizona Early Intervention Program (AzEIP). Garcia Floor Amendment #2: Requires that one-half of the monies generated by the semi-annual fee of $0.50 per vehicle insured under a motor vehicle liability insurance policy shall be transferred to the newborn screening program fund. Burton-Cahill Amendment: Restores the lump sum reduction of $1.6 million to the Arizona Commission on the Arts. Landrum-Taylor Amendment: Restores funding in the amount of $125,000 to the African-American Commission in the Arizona Department of Administration. Garcia Floor Amendment #3: Reduce $7 million in community college equalization aid from Graham County Community College District, and adds $7 million in funding for the Arizona Early Intervention Program. Garcia Floor Amendment: Strikes language that permanently repeals the state equalization tax. Aguirre Floor Amendment: Remove the requirement that ADOA issue RFP’s to privatize the prison complexes at Yuma, Perryville and Eyman. Landrum-Taylor Amendment: Restore qualification for Kids Care to 200% of the federal poverty level and restore Kids Care Parents. Cheuvront Floor Amendment: Delete the statutory definition of eligible dependents for the state employee health insurance program. Rios Floor Amendment: Deletes the statutory definition of “indigent” for the seriously mentally ill.
McCune-Davis Floor Amendment: Removes the provision that creates a state medical false claims civil cause of action. Rios Floor Amendment #1: Total is $218 million for next year – still $40 M left. Soft capital includes technology, textbooks, library resources, instructional aids, pupil transportation vehicles, furniture and equipment. Rios Floor Amendment #2: Removes union provisions. Aboud Floor Amendment: Restores university bonding authority for the SPEED package to current language, allowing a maximum lease-to-own amount of $400 million in FY 2009-2010 and $800 million overall. Aboud Floor Amendment: Restores the FY 2009-2010 appropriation to the Arizona 21st Century Fund in the amount of $25 million. Garcia Floor Amendment: Removes language that reserves regulatory authority for the Corporation Commission for items beyond utility rates. Aguirre Floor Amendment: Remove language that increases PSPRS, CORP and EORP members’ contribution rates, if currently less than 50% of the total contribution rate. Aboud Floor Amendment: Removes provisions regarding impact fees.